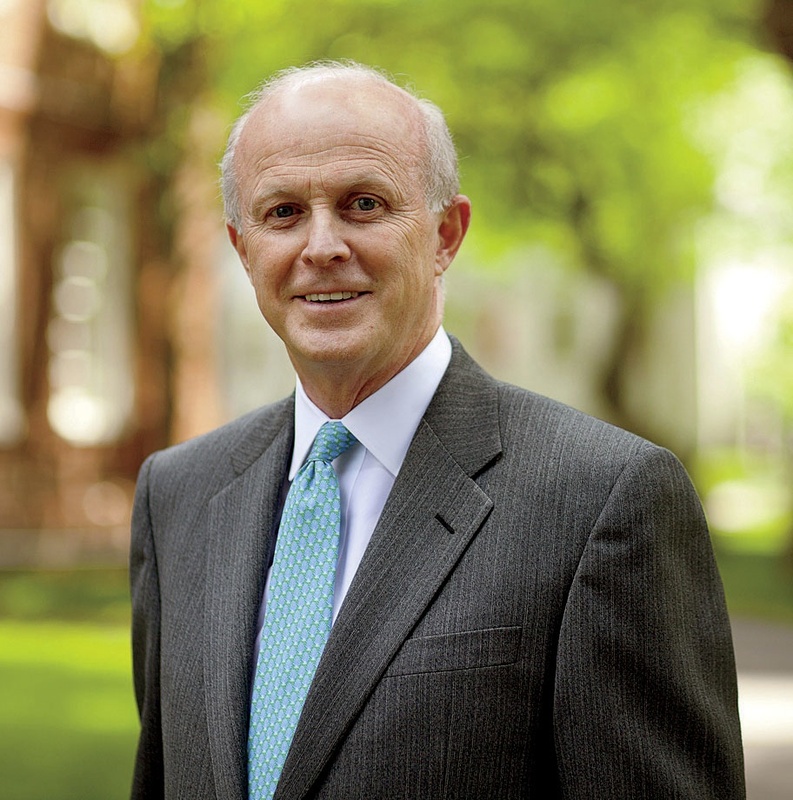 Finnegan, a past president of the Harvard Alumni Association (2006-2007), served during the challenging transition from the presidency of Lawrence H. Summers through the interim return of Derek Bok to Massachusetts Hall and then the appointment of Drew Faust. He thus brings to the Corporation both deeper alumni ties and a closer connection to the Overseers, where he has chaired the committee on finance, administration, and management. He has also been a member of the Committee on University Resources, a group of leading Harvard donors (he is one of the planning committee co-chairs for the forthcoming Harvard capital campaign); reunion co-chair for his College class; and chair of the Harvard Business School Fund. His Harvard perspective is multigenerational: his father, J. Paul Finnegan (now deceased), graduated in the class of 1946. Paul and Mary Finnegan’s middle child, Paul M., graduated from the College last March. Finnegan helped found and is co-CEO of Madison Dearborn Partners, a Chicago-based private-equity firm. He also chairs the Chicago advisory board of Teach for America, and serves on that organization’s national board of trustees.